Rapids Youth Soccer is Colorado’s premier soccer coaching destination. Supported by a curriculum spanning from the MLS First team down to preschool, Rapids Youth Soccer offers coaching opportunities for every coach, from beginner to advanced. Apply for a coaching position through the link below. About: The STAFF ACCOUNTANT job is a full-time, exempt position with the Colorado Rapids Youth Soccer Club. About the Club: The Colorado Rapids Youth Soccer Club is a premier youth soccer club in Colorado providing youth soccer programming year-round to more than 10,000 players each season. The Staff Accountant is responsible for assisting the Director of Finance in all aspects of financial operations, accounting, human resources and other administrative functions. The position will assist in ensuring that processes, procedures and internal controls are in place to provide superior financial and administrative operations in support of the CRYSC nonprofit mission. This position reports directly to the Director of Finance. The following is a broad overview of duties to be performed by the Staff Accountant. Perform and establish best practices related to Accounts Payable and Accounts Receivable. Process vendor invoices and issue payments on a weekly basis. Provide excellent customer service and respond to all emails and phone calls regarding financial matters. Assist as needed during club events. Assist in the preparation of assorted tax forms including 1099s. Assist in the performance of Human Resource functions. Salary commensurate with experience. CRYSC is an EEO company. To apply, please submit a cover letter and resume to Liz Grier, liz.grier@rapidsyouthsoccer.org, with subject titled “CRYSC Staff Accountant”. Applications will be accepted through Friday, March 29th. Our Outreach Program provides under-served youth with soccer opportunities through clinics, leagues, and scholarships. We serve thousands of students in low-income Denver and Greeley communities. Our in-house divisions are teams within our free Soccer for Success after-school program. The schools we work with compete on Saturdays during spring and fall seasons. The Outreach Field Coordinator will set up and tear down 1-2 game day fields for seven game days, ensure Soccer for Success game days are delivered with fidelity, support coaches on league days, and be the onsite representative for the CRYSC Outreach Department. Field Coordinators must be 18 years old. Pay: $15/hr, 4-5 hours per game day. Our Outreach Program provides under-served youth with soccer opportunities through clinics, leagues, and scholarships. We serve thousands of students in low-income Denver and Greeley communities. Our in-house divisions are teams within our free Soccer for Success after-school program. The schools we work with compete on Saturdays during spring and fall seasons. The Outreach Referee will ensure Game Day matches are played according to the rules of the game. This includes promoting good sportsmanship, and ensuring player safety through enforcement of the rules. Experience either playing, coaching, or refereeing soccer matches is a plus. We provide training in-house, free of charge. Pay: $20 per game, 3-4 games per day. Our Outreach Program provides under-served youth with soccer opportunities through clinics, leagues, and scholarships. We serve thousands of students in low-income Denver and Greeley communities. Our in-house divisions are teams within our free Soccer for Success after-school program. Soccer for Success is the U.S. Soccer Foundation’s innovative youth development program that uses soccer as a tool to combat childhood obesity and promote healthy lifestyles for children in under-resourced urban communities. Coach-Mentors will implement the Soccer for Success curriculum for a team of 12-15 students. Coach-Mentors must be 18 years old. Prior soccer experience is not required, but experience coaching youth sports or participating in team sports is helpful. Teams will practice twice per week after-school and participate in game days within their community on Saturday mornings. Our Soccer Start coaches are high energy, fun, and engaging individuals who introduce 3- to 5-year olds to soccer and physical literacy through imaginative games and activities. Coaches lead players through a 50-minute session with the help of a parent volunteer. The Soccer Start Program Director will provide coaches with education opportunities and a six-week season curriculum. Each session has a different adventure theme each week. Soccer Start coaches are in charge of groups of 8-12 players. We ask that our coaches have experience with young children, however, they do not have to have any prior soccer experience. As a Soccer Start coach, your #1 goal is to have fun with the players in an engaging and developmentally appropriate way. About: The Soccer Start Paid Staff Coach role with the Colorado Rapids Youth Soccer Club. Vision: The vocation of the coach, in his/her role as a trainer, is to introduce boys and girls who want to discover the joys of Soccer and initiate them in its practice. Lead training sessions for six weeks per season. Encourage a spirit based on the enjoyment of playing. Foster a safe environment for players and spectators. Focus on physical, social, cognitive, and emotional development through programming. Mold good behavior through positive action and attention. Read the coaching plan each week prior to the session. The Soccer Start curriculum is designed to be relatable and fun for the kids, while also teaching them the basic skills of soccer. Arrive 15 minutes early to ensure enough time for set up. Wear Rapids gear each week of the season. Inform the Soccer Start Program Director and Site Director of any absent sessions, following the established process. Help players understand the concept of the sport through the final scrimmages. 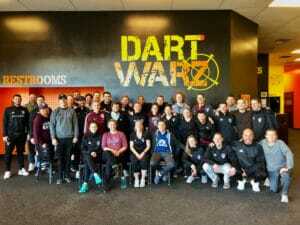 Attend Coach Education and Paid Staff meetings. Employ guided discovery with their players and teams on the soccer field. This process gives players an opportunity to be creative and actively participate with each new skill presented. It also gives an opportunity for the players to ask questions and practice making appropriate choices. Check fields before the sessions for any possible hazards that could cause injury. Make sure all players have been picked up before leaving the practice field. Positive experience: Every member of the training staff should provide high-level experience for our Rapids families. Creating a good learning environment: By letting the game being the teacher, the players are encourage to learn. Develop player self-esteem and self-confidence: The value of understanding children, being fair and enthusiastic, as well as being a positive role model, cannot be underestimated. Pay is commensurate with experience for compensation. To apply, please submit a cover letter and resume to Charlie Alvarez Bacha, charlie.bacha@rapidsyouthsoccer.org, with the subject titled “Soccer Start Coach”. Applications will be accepted on a rolling basis until positions are filled. Rapids Recreational Camps are designed for players of all levels to have fun and play soccer in a safe environment. Players range in age from five to ten years old. Each coach works with a group of approximately 10 similarly-aged players. Minimal soccer experience is required, but coaches must be able to engage a group of children with enthusiasm. The camp curriculum and equipment will be provided. 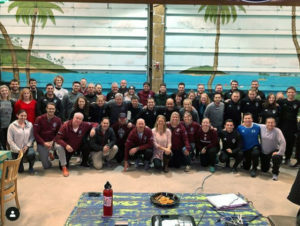 Rapids Development Centers are designed as additional training for players from five to ten years old to build on their technical soccer foundation. Coaches are provided a Rapids curriculum session for their group of 8-11 players every week with a specific technical focus. Sessions run for one hour once a week in the evenings. Minimal soccer experience is required but enthusiasm for working with kids and high energy is important. Equipment will be provided, but coaches are expected to come early to all sessions in order to assist with setup. There is a one season (6 sessions/weeks) commitment for this position. CRYSC U9/10 Rec PLUS staff coaches are responsible for coordinating one to two teams in an hour-long training slot, twice per week. Rec PLUS coaches are expected to implement and adjust the U9/10 curriculum based on the level of their teams. Coaches will coordinate, support, and advise volunteer coaches on the direction of their teams. Rec PLUS staff coaches are not required to attend game days. Weekly training slots run from 5-6PM, and 6-7PM at centralized locations. Coaches must be available for one or both slots to be considered for position. Rec PLUS coaches are required to attend program specific coach education once per season. CRYSC U11+ Rec League coaches work with one team of girls and/or boys within the CRYSC Recreational Soccer League for a full season. Coaches run two practices per week and manage weekly games that compete against the other teams within the Rapids Youth Soccer league. Each season lasts 8 to 10 weeks. 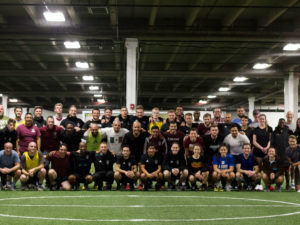 In addition to soccer techniques, league coaches reinforce values central to soccer, such as teamwork, discipline, respect, and etc. Coaches must be able to commit to hour-long two training sessions and a 1.5 hours game day every Saturday (excluding holiday weekends) during the season. A one season commitment minimum is required, but we prefer that coaches are able to commit to two seasons. Coaches should understand they will be the point of contact for families and players within their team. Coaches are responsible for ensuring players are aware of games, practices, and other important news. Intermediate camp coaches work with players between five to 12 years old. Staff coaches are expected to guide players to build on their technical soccer foundation. All coaches are provided a Rapids curriculum session for their group of 8-12 players each day with a specific technical focus. Camp sessions range from half day (3 hours) to full day (6 hours) experiences. Previous playing and coaching experience is desired, along with an enthusiasm for working with, and teaching, kids. High energy is extremely important to this position. Equipment will be provided, but coaches are expected to come early to all sessions in order to assist with setup. There is a one season (6 session) commitment for this position. Pay: Between $30 to $40 an hour. Compensation is dependent upon licensing and/or experience. CRYSC U9-U10 Select coaches are responsible for introducing top male and female soccer players to the first step in the elite player development process. Coaches are expected to set professional standards for participation while also facilitating a fun, positive, and developmentally-appropriate environment for 8 to 10 year olds. Select coaches should have a considerable background in both playing and coaching soccer, and be able and willing to communicate with players, parents and technical and administrative club staff. Coaches will be educated in and expected to implement the Rapids Youth Soccer player development philosophy, methodology and curriculum. Coaches at this level will be most qualified and experienced with coaching players between 8 and 10 years old. Training sessions for Select groups take place three times per week with games on Saturday. Teams also participate in 2-3 tournaments which take place on the weekend each season. The fall season will run from August until early November and the spring season will run from March until early June. Additionally, Select coaches are responsible for winter training which takes place in January and February. During this time, teams will train twice per week outdoors with one pre-season tournament before moving to the spring training schedule. Pay: $400 to $600 per month, per team. Compensation is dependent upon licensing and experience. Payments are made monthly over a 10 month period. CRYSC U11-U14 White Blue and Gold Team Coaches are responsible for running training sessions and leading games for a team of competitive male and/or female players. Training sessions for these groups take place three times per week with games on Saturday. Teams also participate in 1-2 tournaments which take place on the weekend each season. The fall season will run from August until early November and the spring season will run from March until early June. Additionally, White, Blue and Gold team coaches are responsible for winter training which takes place in January and February. Teams will train twice per week outdoors with one pre-season tournament before moving to the spring training schedule. White, Blue, and Gold team coaches are expected to facilitate a fun, positive and professionally structured learning environment for the players on their team. Coaches should have a considerable background in playing and some coaching experience, and be able and willing to communicate with players, parents and technical and administrative club staff. Coaches will be educated in and expected to implement the Rapids Youth Soccer player development philosophy, methodology and curriculum. Pay: $3,500 to $5,000 per year, per team. Compensation is dependent upon licensing and experience. Payments are made monthly over a 10 month period. CRYSC U11-U14 Select and Burgundy teams represent the most competitive teams in a given age group. Coaches at this level will be our most qualified and experienced in the game. Training sessions for Select and Burgundy groups take place three times per week with games on Saturday. Teams also participate in 2-3 tournaments which take place on the weekend each season. The fall season will run from August until early November and the spring season will run from March until early June. Additionally, Select and Burgundy team coaches are responsible for winter training which takes place in January and February. Teams will train twice per week outdoors with one pre-season tournament before moving to the spring training schedule. Select and Burgundy team coaches are expected to facilitate a fun, positive, and professionally structured learning environment for the players on their team. Coaches should have a considerable background in both playing and coaching soccer, and be able and willing to communicate with players, parents and technical and administrative club staff. Coaches will be educated in and expected to implement the Rapids Youth Soccer player development philosophy, methodology and curriculum. Pay: $6,000 to $8,500 per year, per team. Compensation is dependent upon licensing and experience. Payments are made monthly over a 10 month period. CRYSC U15-U19 White, Blue and Gold Team Coaches are responsible for running training sessions and leading games for a team of competitive male and/or female players. Training sessions for these groups take place three times per week (White teams) 2 times a week (Blue/Gold teams) with games on Saturday. Teams also participate in 2-3 tournaments which take place on the weekend each season. The spring season for these teams goes from March through June. Additionally, White, Blue and Gold team coaches are responsible for winter training which takes place in January and February. Teams will train twice per week outdoors with one pre-season tournament before moving to the spring training schedule. White, Blue, and Gold team coaches are expected to facilitate a fun, positive, and professionally structured learning environment for the players on their team. Coaches should have a considerable background in playing and some coaching experience, and be able and willing to communicate with players, parents and technical and administrative club staff. Coaches will be educated in and expected to implement the Rapids Youth Soccer player development philosophy, methodology and curriculum. The U15 teams will have a primary season and a secondary season. The secondary season is an optional fall season offered through the club. Teams that play in the secondary season will still have league games and one event. Coaches would be compensated for training sessions and games as they would in the primary season. U15 – U19 Select and Burgundy teams represent the most competitive teams in a given age group. Coaches at this level will be our most qualified and experienced in the game. Training sessions for Select and Burgundy groups take place three times per week with games on Saturday. Teams also participate in 2-3 tournaments and 1 State competition which take place on the weekend each season. The spring season for these teams goes from March through June. Additionally, Select and Burgundy team coaches are responsible for winter training which takes place in January and February. Teams will train twice per week outdoors with one pre-season tournament before moving to the spring training schedule. Pay: $4,000 – $5,950 per season, depending on the licenses and experience. Advanced camp coaches will work with players that range from 9 to 18 years old. Staff coaches will be expected to teach, and build upon, the 4 pillars of the game (technical, tactical, psychosocial and physical). The coaches will be provided a Rapids curriculum session for their group of 10-15 players each camp day that will have a specific technical focus. Camp sessions range from half day (3 hours) to full day (6 hours) experiences. Previous playing and coaching experience is required along with an enthusiasm for working with, and teaching, kids. High energy is extremely important to this position. Equipment will be provided, but coaches are expected to come early to all sessions in order to assist with setup. Pay: $30 to $40 an hour. Compensation is dependent upon licensing and/or experience.